Residents voice concerns over $100,000 insertion into budget for potential hockey rink. At its latest meeting, Voorhees Township Committee adopted the township’s 2018 budget with no local purpose tax increase. This year’s rate will continue as 81.4 cents per every $100 of assessed property value — the same as 2017’s rate, which combined the previous local municipal tax rate and the rate from the former Voorhees Fire District. Despite the proposed flat municipal property tax, residents expressed concerns about certain aspects of the budget, specifically inquiring about $100,000 being appropriated from surplus for the down payment of a potential street hockey rink at Connolly Park. The addition was inserted into the budget a couple weeks ago in a 5–3 vote, as Committeeman Michael Friedman and Harry Platt voted against the appropriation, arguing corporate sponsorship should have been sought. However, Mayor Michael Mignogna, Deputy Mayor Jason Ravitz and Committeewoman Michelle Nocito endorsed the project, and say the new facility will not only satisfy athletic needs but also promote profit within the township. Throughout the meeting, residents asked for clarification regarding hockey rink expenses, as the $100,000 appropriation is a 5 percent down payment for the rink, which could cost close to $2 million. “I’m opening that dialogue up that the budget shouldn’t be passed with the money appropriated for that purpose with very few people’s knowledge of that being jammed in the budget,” said resident Ami Feller. The committee stressed the funds are not definitely designated for a bond ordinance for the hockey rink, as the next step involves going out for a request for proposal, which will involve seeking partnership with private entities. If the committee cannot find an appropriate bidder for the rink, the $100,000 can be used for other capital reserve projects. The RFP process includes companies bidding on the administration of the deck hockey league, as prospects will do their due diligences in determining how many Voorhees residents it could benefit. Ravitz says several Voorhees hockey players commute to neighboring towns like Marlton and Gloucester Township to play in street hockey leagues. He mentioned the Flyers Skate Zone has three rinks — two ice and one inline, but not a facility designed for the street version of the sport. “There is a need, and it could be a profit center. … The vision here is to have a company — not only have a sponsor — but have a company administer it,” he said. 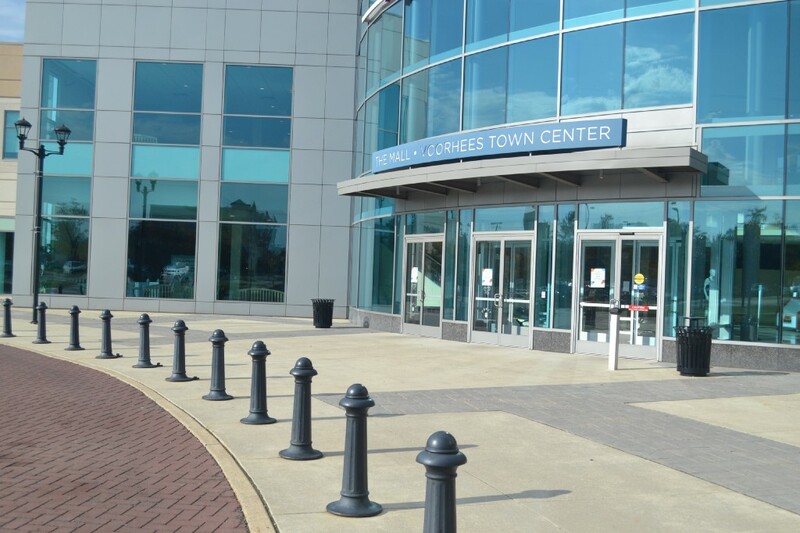 If an organization administers the league, and not within the offices of a sports authority, such as Evesham Township’s Marlton Rec Council, the township could be given back money. The rink would feature elements like greenery, landscape and walkways. It could also serve as another CER program, considering its access to the local schools. Overall, the rink could enrich an area that is currently vacant. “I think that it would turn an area that doesn’t look quite attractive on a nice street and make it look nice,” Ravitz said, referring to Centennial Boulevard. On the other hand, Friedman, who voted “no” on the budget, asserted the insertion was premature. “I don’t see the impetus for or the immediacy to allot or appropriate $100,000 in the budget for this rink. … We have a number of other issues to worry about,” he said, emphasizing that, although he supports the rink in theory, corporate sponsorship should have been a top priority before the funds were transferred from the surplus. He also noted that, in the scope of the budget, some professionals are overpaid. Residents questioned if the $100,000 could have been used for tax relief. “I don’t think that people are realizing that the tax burden right now on Voorhees Township residents is becoming absolutely out of control,” said resident Rishi Gala. But the committee noted that already $3.7 million of 5.3 million, or 69 percent, of 2017’s surplus went into the 2018 budget involving no tax increase. In prior years, the township has used more than 90 percent of the surplus to sustain municipal budgets. Committee emphasized that if and when rink proposals advance, there will be two ordinance readings, as well as a public hearing on the matter. Aside from the $100,000 potential down payment, this year’s budget, which is the first to include the fire department services, encompasses the hiring of three additional firefighters and two additional EMTs. This is also the first year the township will have career firefighters on duty 24/7. Along with $1 million of road repairs, the township purchased a new ambulance and compressed natural gas trash truck. The budget, which is 20.7 percent of this year’s total property tax bill, also includes $100,000 for the police department that will be used for a mental health and addiction relief program. This money could also be used for school safety costs if the districts need additional funds.